The RETINA project is named after the retina in the human eye, functioning as a transmitter transforming the visual world into light impulses and send them to the appropriate places in the brain, which is also the basic idea of the RETINA project. 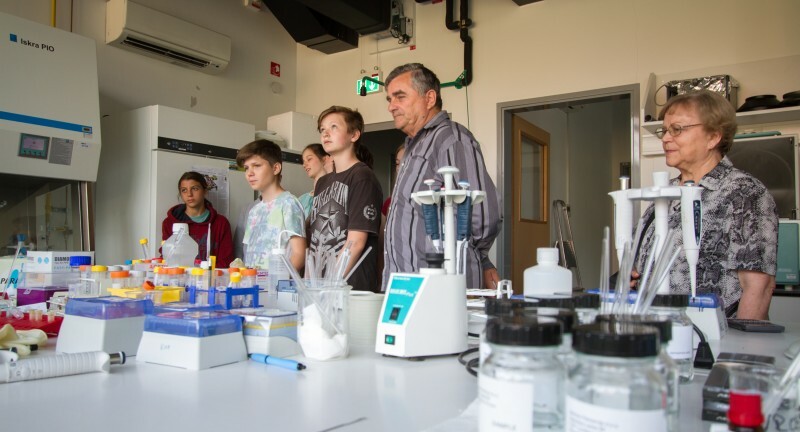 The project’s goal is to represent a network of well-established laboratories researching the materials science in the border region of Slovenia and Austria. The so-called “SINGLE ENTRY POINT” has been created to receive R&D impulses from this border region and send them to responsible institutions within the RETINA consortium. The RETINA project is faced with a unique challenge of building a network of established laboratories with experience in the materials science and thus enabling research centers as well as companies of all sizes access to the research network via the “single entry point“. This will increase the chances of reaching critical mass for the R&I software in the program area, encourage companies to invest into R&I and therefore contribute to increased competitiveness of under-developed regions. The project’s main results will be presented in the form of information events, laboratory visits, pioneering operations carried out in cooperation with the industry and the research centers, as well as feedback to local authorities. In order to maximize the project’s effect, the above-mentioned activities will be targeted at different groups (scientific partners, knowledge brokers, the industry and decision-makers). Due to the high fragmentation of the R&I infrastructure in the field of materials science, companies on the regional as well as national level are unable to achieve their project goals, which makes the cross-border initiative essential for the successful implementation of the proposed project. This initiative’s distinctive feature is its interregional network providing access to the research equipment via the “single entry point“, as other similar initiatives have a more local focus.